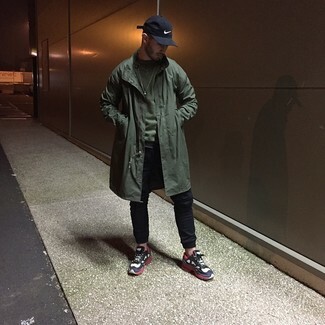 We all want comfort when it comes to dressing up, and this combination of an olive raincoat and black sweatpants is a great example of that. Rock a pair of white and red and navy athletic shoes to make the getup more current. 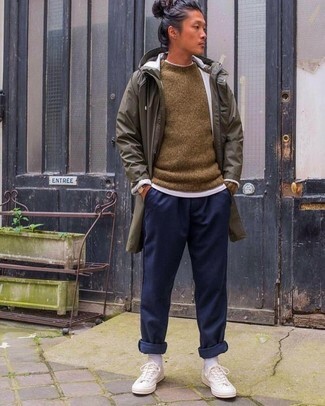 If you're a fan of practicality dressing when it comes to fashion, you'll love this on-trend pairing of a MACKINTOSH hooded coat and navy sweatpants. When it comes to shoes, this outfit is complemented wonderfully with white canvas low top sneakers. 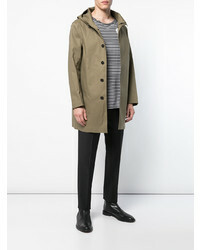 Opt for a MACKINTOSH Hooded Coat from farfetch.com and a dark brown wool suit for a sharp, fashionable look. Add a sportier feel to your getup with tobacco suede desert boots. 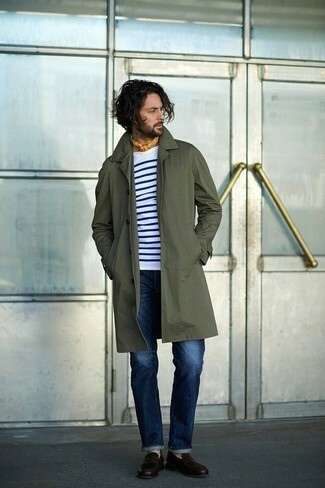 If you're in search of a casual yet sharp ensemble, rock a MACKINTOSH hooded coat with blue jeans. Both items are totally comfortable and will look great together. Grab a pair of dark brown leather loafers to show your sartorial savvy. 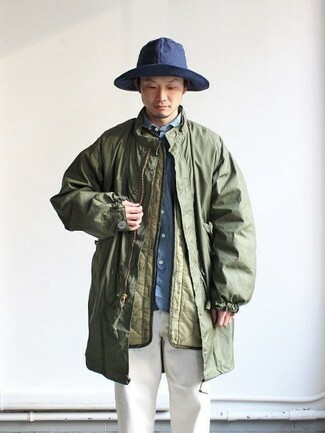 If you're on a mission for a casual yet on-trend getup, try pairing a MACKINTOSH hooded coat with blue jeans. Both items are totally comfortable and will look great together. Amp up the cool of your look by rounding it off with dark brown leather chelsea boots. 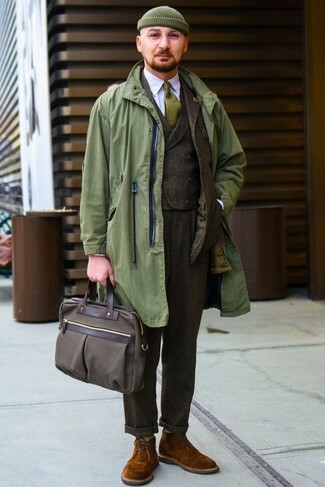 If you're after a casual yet stylish outfit, consider wearing an olive raincoat and white chinos. As well as totally comfy, these two items look stunning together. 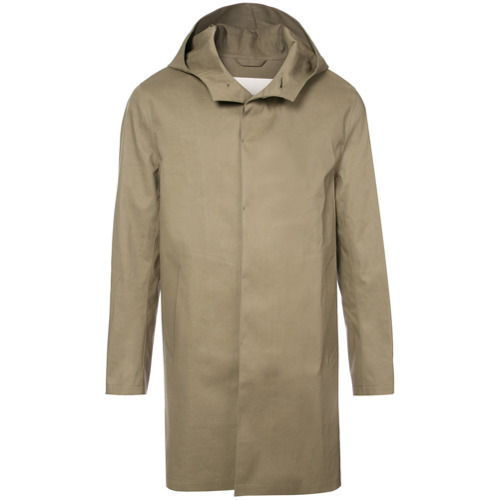 If you're after a casual yet on-trend ensemble, rock a MACKINTOSH hooded coat with brown corduroy chinos. Both garments are totally comfortable and will look great paired together. 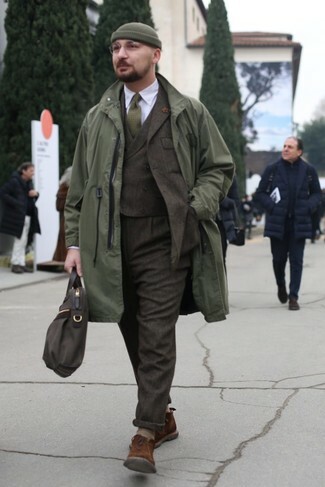 When it comes to shoes, this getup is complemented nicely with dark brown suede desert boots. 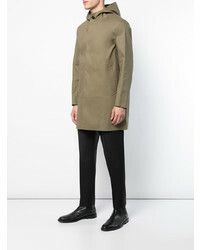 Try pairing a MACKINTOSH Hooded Coat from farfetch.com with black dress pants to ooze class and sophistication. 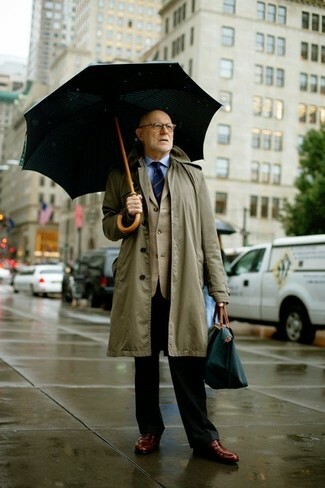 If you don't want to go all out formal, opt for a pair of brown leather loafers. 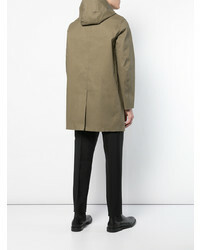 For a nothing less than incredibly stylish ensemble, consider wearing a MACKINTOSH hooded coat from farfetch.com and a dark brown wool three piece suit. 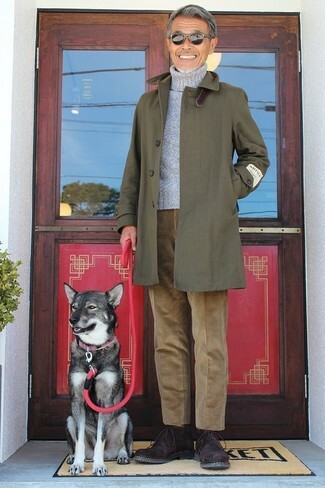 Add a more relaxed feel to your ensemble with brown suede desert boots.